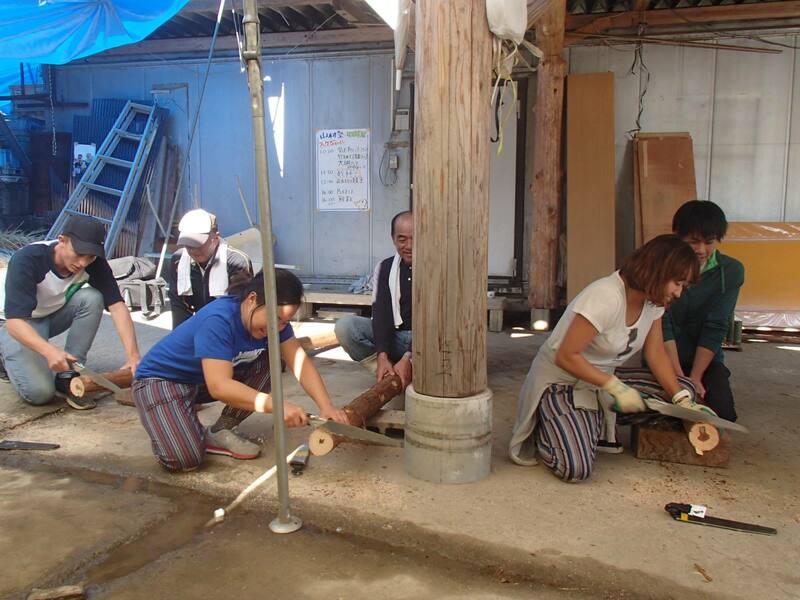 山村塾国際ボランティア・えがおの森メンバーの活動ブログです。This is the blog of Int'l volunteers in Egaonomorim Kurogi by Sansonjuku. Hello everybody, this is Jesus from Mexico. This was a very busy time here in Egaonomori, we got a lot of work and a lot of fun this week. 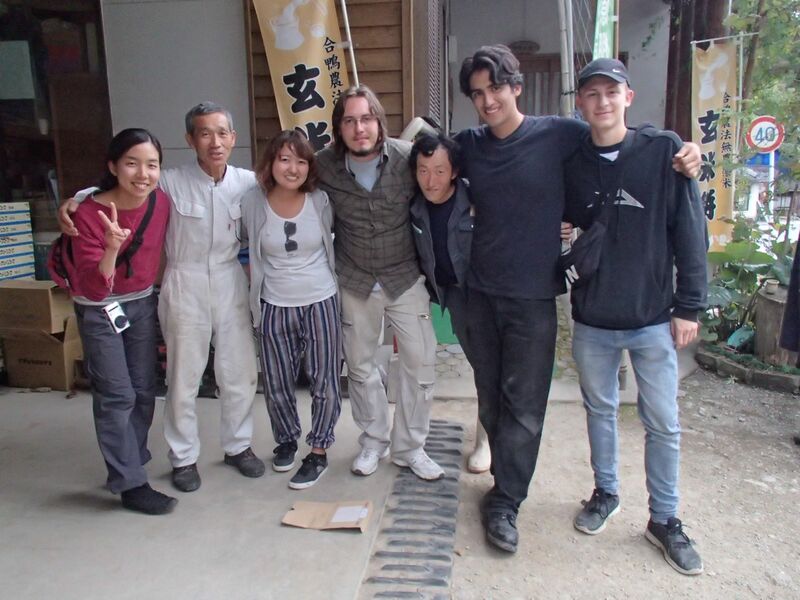 Let's start with the local festival where we helped to make an Shimenawa and enjoy with the people. After that we got 3 days of work making a footpath in Greenpia Yame, it was a hard and entertained job, also our friend from Takarabako helped us one day (INSERT PHOTO NUMBER 2 AND 3). 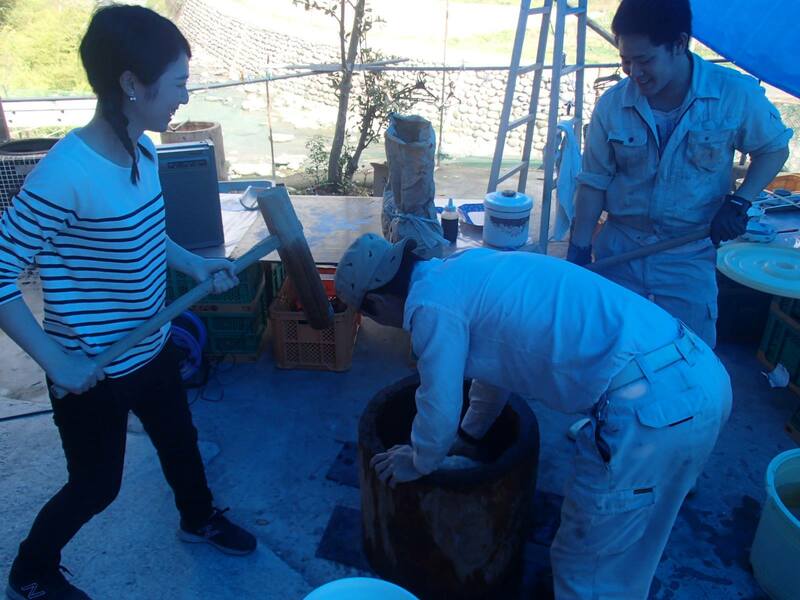 Last, we helped to prepare and then join the harvest festival in Shikisaikan, a lot of people came! 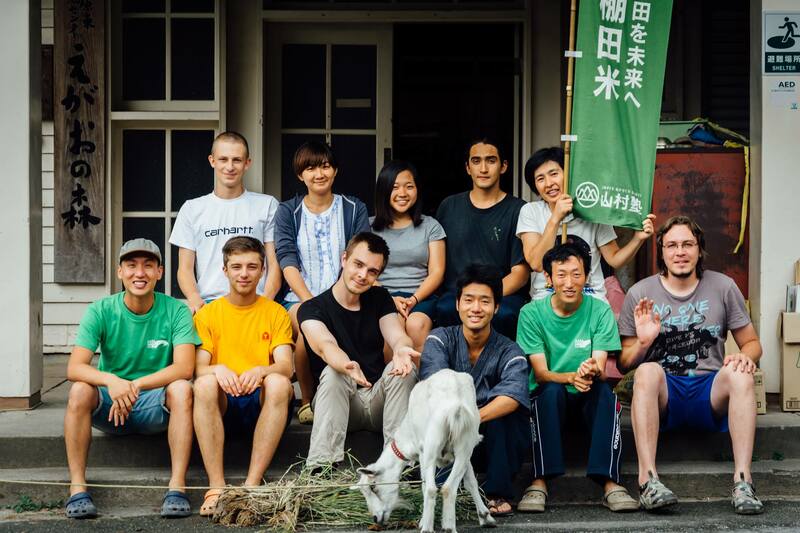 Takarabaco, Seinan University studets and other volunteers so we had a great time, we all are very tired but we are so glad of having this nice experience. Thank you very much for reading and we hope to see you the next event!